You came back 🙏 Welcome! Now, as the title so eloquently states, this weeks blog takes a look at 3 of the most popular series of prints right now. Little disclaimer coming up in 1...2... please don't read too much into this as it is purely an observation of the types of prints that continue to pop up on the social media sites I’m currently active on. Clauses aside lets get into it. Number 1 on the list didn't bloom out of nowhere (lol) as it has been a subject of conventional artists for many centuries. "The use of botanical imagery in painting proliferated especially in the fifteenth and sixteenth centuries, as artists became increasingly interested in the realistic depiction of objects from the natural world." [Meagher, Jennifer] Although photography is a totally different medium than painting, I'm really digging the contemporary works coming from the likes of New Zealand floral artist's Georgie Maylon and Helen Bankers - and I'm in awe of what the team at Art Club Concept in Australia are doing with their floral photography. I think they're all exceptional in their own right and love that they're pushing the boundaries and cultivating photography into the realm of true works of art. 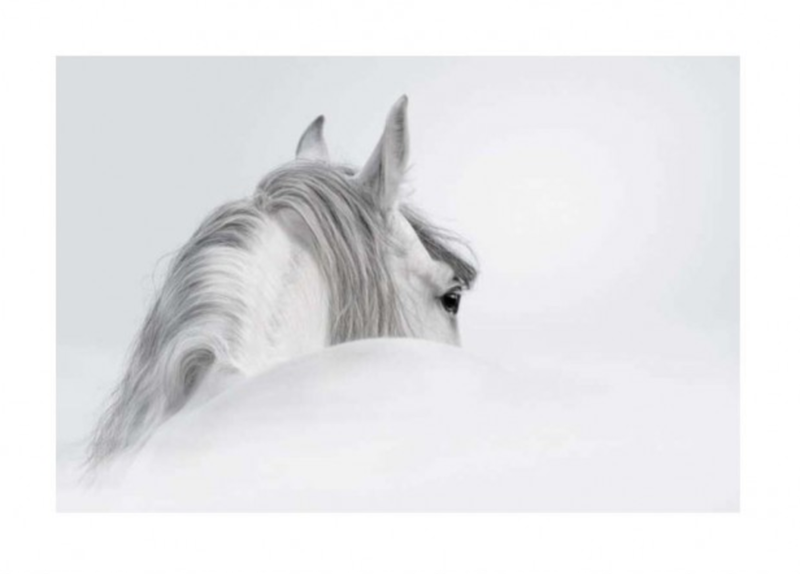 Number 2 on the list is the art of equine, or horse photography. I don't know what it is about horses, but, the more imagery I see of them the more captivated and intrigued I am. Staying with the theme of fascination, when you come across a well executed horse photograph they really do demand your attention - in a good way. They're angelically photogenic, yet, unwavering in their stance - their mana (power) is something to behold and I guess it's this that makes them such a popular choice of print right now. Interesting fact regarding horses and photography -one of the earliest forms of videography was a photographic series by Eadweard J. Muybridge titled 'Sallie Gardner at a Gallop' or 'The Horse in Motion.’ So, it would be fair to say the rise and popularity of horse photography didn’t bolt out of nowhere. Sorry, couldn’t help myself! Last (and certainly not least) on the list is a subject close to my heart, and that's ocean prints. You didn't think I'd leave this one out did you? Seriously though, with the likes of Clark Little and Ray Collins capturing scenes you can only dream about, ocean photography has evolved in recent years into a genuine art form. I interviewed Ray last year and something that resonated with me was his take on ocean photography, "I treat it (ocean) like a living thing, and I aim to take portraits of it.” And portraits they are! Ray’s style can be described as dark and moody whereas Clark is a more conventional wave shooter. Clark captures the Hawaiian shore break and by comparison, his imagery is more vibrant & raw, though, he puts himself in some scary places to capture a view of wonder and amazement. Whether they're using precise photographic techniques or the simple act of patience & timing, the art of ocean photography is in a real creative space right now and I'm excited to see where it goes.